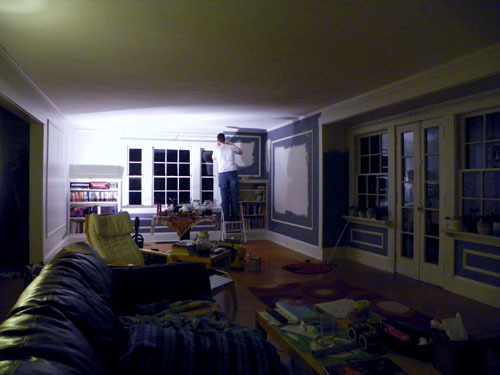 Aaron and I have been working in the living room painting the walls. Aaron set up one of his work lamps to help light up what we are doing. 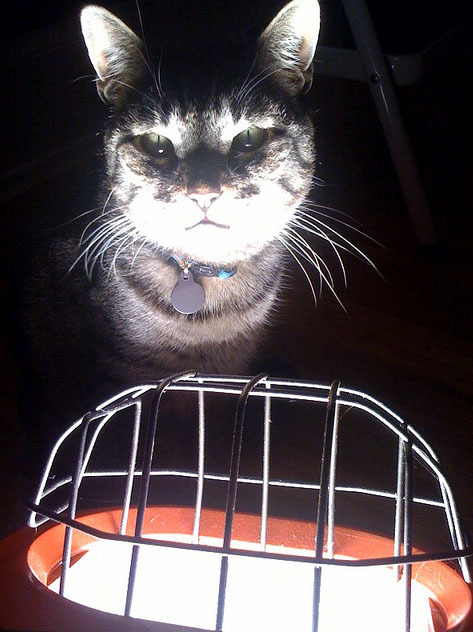 The lamp is pretty warm and Oscar has taken to sitting in front of it like a heat lamp. 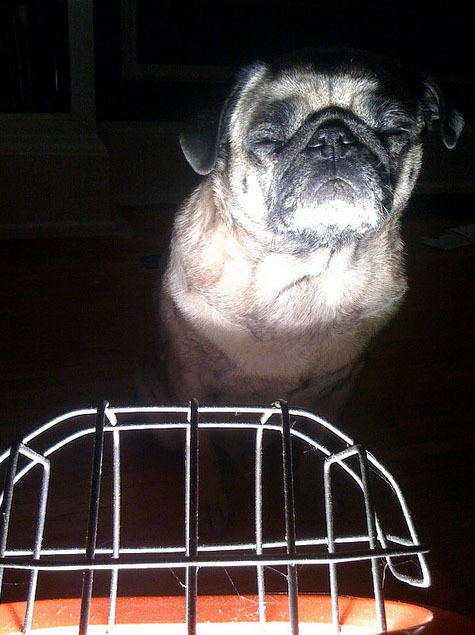 It's like a tanning booth for pugs. Word got out and now Stewie sits in front of it too. They take turns sitting in front of it roasting themselves like rotisserie chickens. Also, you have a lovely livingroom! Very very cute! Love the color your painting too! creepy cute pet pics! you'll have to remember these next October. I love the antics of your pets. They are, by far, some of the most weird and endearing animals I've ever heard of - they sometimes remind me of my own dogs. Jenny, it looks like you and Aaron have a leather sofa. Does Stewie use it as a scratching post? I just purchased a gorgeous new sofa on Sunday. My two cats are already at it.